Almost 20 years ago I set out to transform our mostly shady, English ivy infested front yard into a welcoming garden with year-round interest. My goals were ambitious — a hot color garden in the one sunny spot near the house, a variety of winter-flowering plants, and fragrance throughout the year. Moreover, I was determined to achieve those goals in a “low maintenance” landscape. I’ve never met anyone who wanted a “high-maintenance” landscape, but often seemingly innocuous choices and some conventional landscape practices can produce that end result. Decades of gardening have convinced me of five principles that are crucial for the creation of landscapes able to thrive with minimal intervention. “Right plant, right place” is a gardening mantra and the cornerstone of low-maintenance landscapes. It is also the most difficult principle to follow. Wanting roses because our grandmother had them or smitten by a plant at the garden center, we may go great lengths to create an ideal spot for them. Alternatively, we may attempt growing the plants in unfavorable conditions. Determined to grow oakleaf hydrangea (Hydrangea quercifolia) in a spot with poor drainage, I killed three before choosing a shrub less fussy about wet feet. A drier area on the edge of the garden proved to be a perfect spot for an oakleaf to thrive. Lowering maintenance requires us to analyze our site—what type of soil does it have, is it sunny or shady, what is the soil PH, how is the drainage—and choose plants accordingly. Like most of the Southeast, the Triangle is subject to periods of drought, particularly in the late summer and early fall. Even well sited plants are likely to need some supplemental watering until they are fully established, usually in one to two years. When establishing new plantings, it is important to monitor rainfall and water thoroughly, about one inch a week, when necessary. Often irrigation systems are set to benefit turf grass—short periods of water daily or every other day. While this type of watering is fine for shallowly rooted turf, it prevents trees, shrubs, and perennials from putting down deep roots and becoming fully established. An established plant that needs supplemental watering at times other than severe drought may need to be moved to a shadier or moister spot. When selecting plants for our landscapes, we generally focus on what we want from them—colorful flowers, fragrance, nectar, or seeds for birds—but equally important to consider is what the plant will require from us over the course of the year and how those needs align with our maintenance skills and preferences. 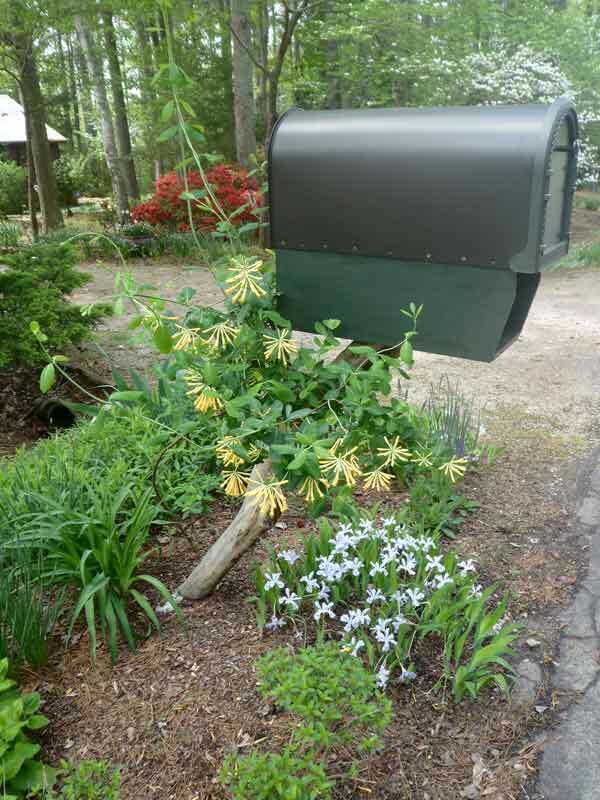 Planting perennials that come back year after year may seem like less work than growing annuals that last only one season; however, perennials have variable life spans and many need lifting and dividing periodically to remain vigorous. 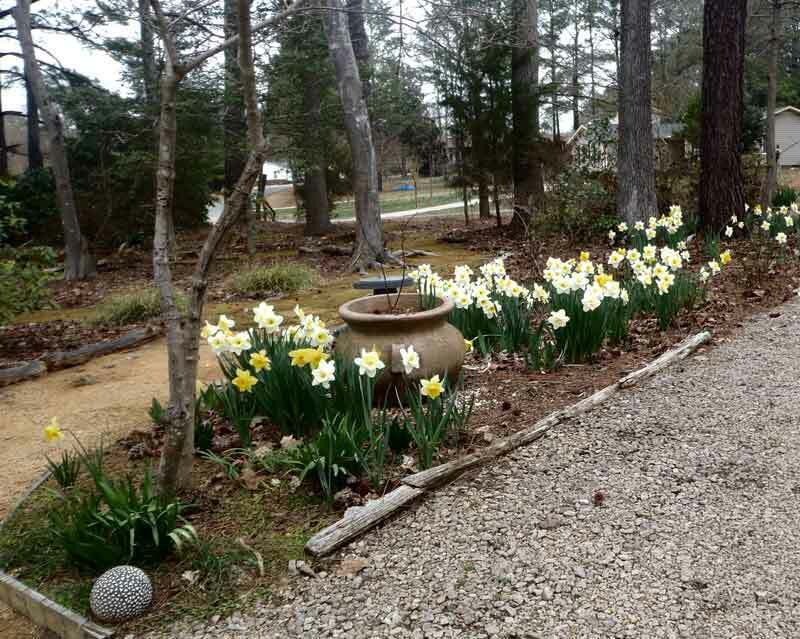 Reseeding annuals, long-lived perennials such as peonies, and bulbs such as daffodils can all play a role in a low-maintenance garden. Trees and shrubs require less attention than most perennials and annuals, but they may require some pruning or generate leaf fall that needs to be managed. Formally pruned hedges or shrubs consume more time than those allowed to grow in a natural form. A specimen that needs frequent pruning to manage its size likely is not the “right plant” for the space and should be replaced. In the wild, plants grow in “communities” which are associations of plants with similar soil, sun, and moisture requirements as well as compatible root systems and growth habits. 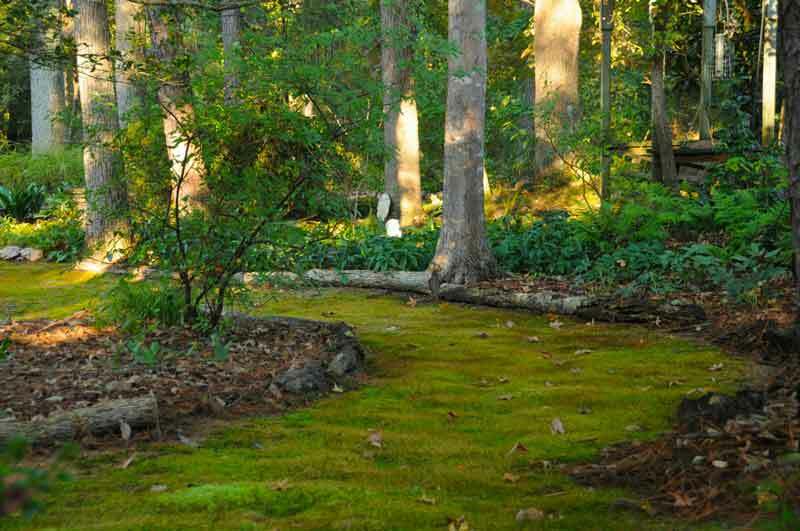 Created landscapes traditionally rely on mulch to suppress weeds and prevent the soil from drying out. Increasingly, landscape designers and garden experts are promoting the idea of matrix planting, which is using an assemblage of plants that can thrive together while discouraging unwanted weeds. In my own garden, I use low-profile groundcovers, wintergreen bulbs, and perennials with evergreen rosettes to reduce the need for mulch. Landscapes are comprised of living entities, so they are dynamic and subject to change. A tree’s growth can gradually shade out once happy, sun-loving plants or a storm might take out a canopy tree creating full sun overnight. Keeping existing plantings alive in new circumstances might be feasible, but it won’t be low maintenance. Plants often grow in unexpected ways or seed around, turning up in spots the gardener never intended. Being able to let go of an absolute vision and allow the landscape to evolve is a big step toward minimizing maintenance. If matching plants to place is the starting point for low-maintenance landscapes, learning to manage rather than dictate plantings is the logical outcome.